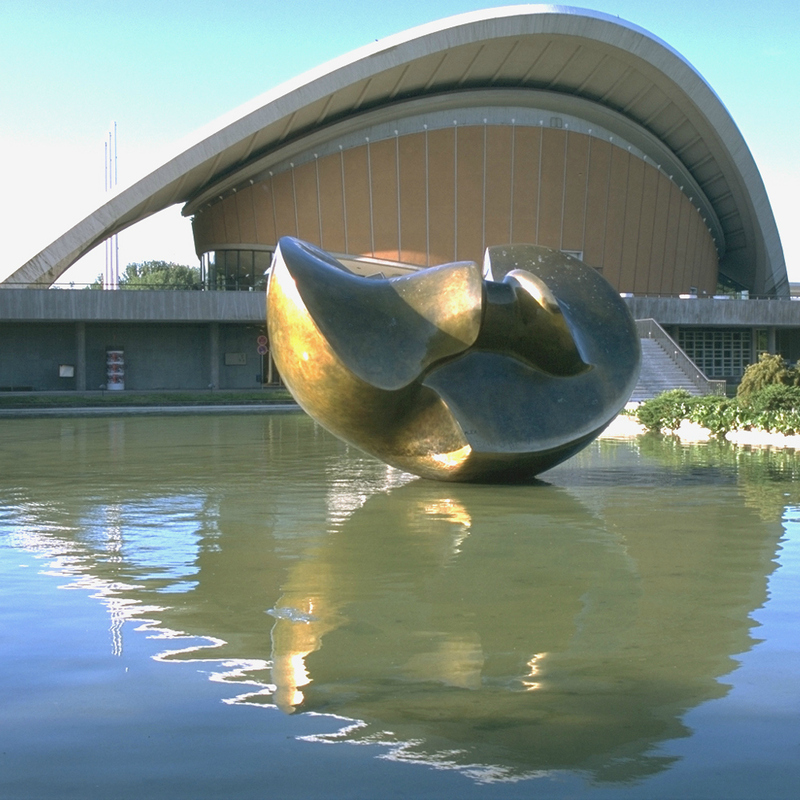 Just like a pregnant oyster the Haus der Kulturen der Welt is lying on the waterside of Spree. The former congress hall is truly a sight with recognition value. During the occupation of Berlin the building was constructed by the American allies in 1957 and until today it is glowing in bright orange in the midst of green Tiergarten. Inside the fascinating architecture you'll find a diverse programme of contemporary arts. Productions from all over the world, but especially from non-European cultures are represented with art, music, literature, films, digital media and much more. Every year an international literature award is given and during the summer months an open air festival called "Wassermusik" is attracting visitors. Another yearly highlight is the media and art festival "Transmediale", which is critically encountering the digitalization of our society.